I signed my first professional contract at Manchester United on my 17th birthday, Nov 29, 1990, and with the strike of a pen went from my apprentice wages of £29.50 a week, plus £10 expenses, to the rather more considerable sum of £170 per week, plus first team bonuses. It would not be until the following March that I made my first team debut but when I sat in Sir Alex Ferguson’s office that morning it was not really the money that was on my mind but another issue. That Thursday I was in the canteen queuing up for some food at the Cliff training ground when I felt a tap on my shoulder. It was Eric Harrison, our fearsome youth team coach. “What are you doing here?” he asked. I tried to explain to him that I was a pro now and that I no longer had to go to college. It would be fair to say Eric did not see it the same way. He told me very firmly to put my plate down, get out the building and get on the No 52 bus to college. I can still remember walking out with my stomach empty and going into college midway through a class. I only tell the story now because the way in which we develop academy boys in the modern age, as well as the money on offer for the best, and the trade in teenagers, has changed the game beyond recognition. I am well aware that any former player talking about youngsters today can sound bitter. I am not. My issue is this: I think the money is helping teenage footballers get richer, I do not think it is helping them become better footballers. The skill levels of young players are still there. I am not sure about the desire. When I was growing up I saw boys with much less talent make careers for themselves through sheer will-power. There were strong personalities in every team. 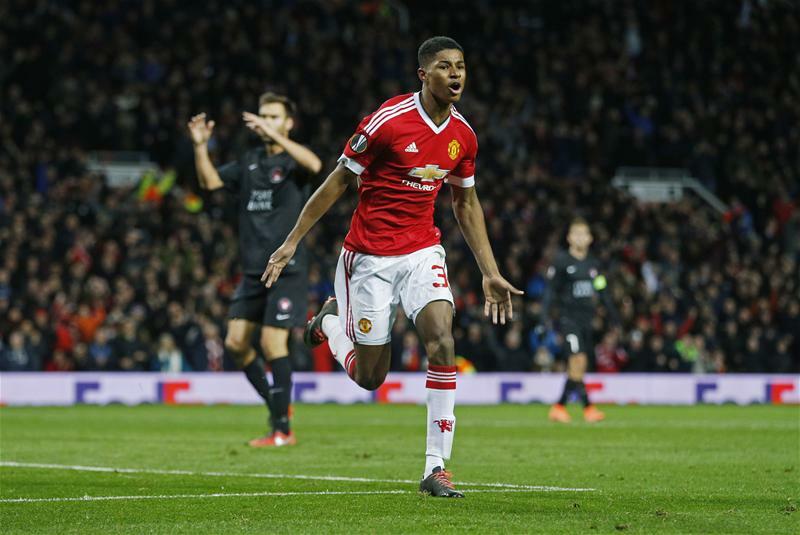 Giggs on Marcus Rashford: "I could see in his eyes that he listened". CREDIT: REUTERS. One of my clear memories as a young teenager was getting the bus to a Salford boys’ trial. Only one problem: it was the wrong bus. I panicked that I would be late. Nowadays boys are taken everywhere by the clubs. The issues that most normal teenagers face - the problem solving, the out-of-the-comfort-zone moments – it all helps them develop. That maturity also counts for a lot on the pitch. There are exceptions. When I would talk to Marcus Rashford I could see in his eyes that he listened. He wanted to improve. His mentality did not change when he broke into the first team under Louis van Gaal. When I did the same, it was still a long time until I was allowed to change in the first team dressing room. You had to earn that right. On that first pro deal, I was earning £170 a week but there was also £300 a point for any game I played in. On top of that there were big bonuses for winning trophies: £10,000 for the League Cup, £20,000 for the FA Cup, £25,000 for the league title. You won trophies because you wanted to be a successful footballer but the money was good too, and in those days it was very incentive driven. The biggest players in the first United team I played in were on £3,000 to £4,000-a-week. When Eric Cantona signed a contract of £10,000-a-week it felt like an amazing amount of money. Now there is nothing stopping first-time professionals being able to drive the same cars and buy the same clothes as the senior players. I have seen boys promoted into the first team dressing room who would never have been allowed in during my days as a young pro. I have also seen the effect of a 17-year-old boy become the main breadwinner in the family when he signs his first deal and his parents give up their jobs. That’s a lot of pressure on a teenage boy who has not yet started growing and is by no means certain to be a top professional. On top of my first pro wages, I was given £40 digs money to be given to my landlady, which in my case was my mum. I don’t think I have ever cancelled the standing order to this day. The club recommended me an accountant who is still my accountant 27 years on. I would go to the NatWest branch that used to be over the road from Old Trafford, by the Liverpool Warehousing building, where I would get my wages each week after finishing my apprentice’s jobs - including working in the club shop. I know it sounds like a different era. And, yes, even in those days there were some young players who were paid more than others. The change now is that the basic amounts are so enormous that it must be hard for these players not to get carried away. How can you concentrate on making it as a top player, when your wages suggest you already have? I am afraid to say that despite Stretford College’s best efforts I was not a great student. I wonder to this day whether Sir Alex and Eric set me up that Thursday as a means of reminding me that even though I was a professional at Manchester United there was still a long way to go. Whatever the reason it was a moment I never forgot, which I suppose was the intention. Only the very best coaches know how to strike that balance between encouragement and discipline, and United were very good at it - although I have to say it is a lot easier when the teenager in question is on a weekly wage of £170 rather than £17,000.